"It's the uncertainty that charms us, everything becomes wonderful in the mist." 120 cm long and 35 mm wide, the Douce nuit wide suspenders are made of blue and purple elastic bands (Polyester and Elastodienne) joined by a leather part stamped "Les Bretelles de Léon". 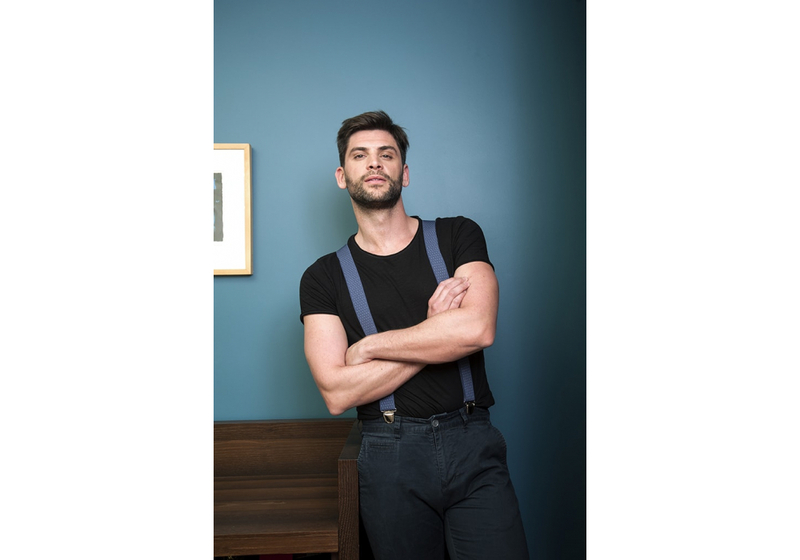 These thin suspenders "Douce nuit" are equipped with stainless steel fastenings with a rubber reinforcement to not mark clothing. Without any constraint, wear them on any type of pants.